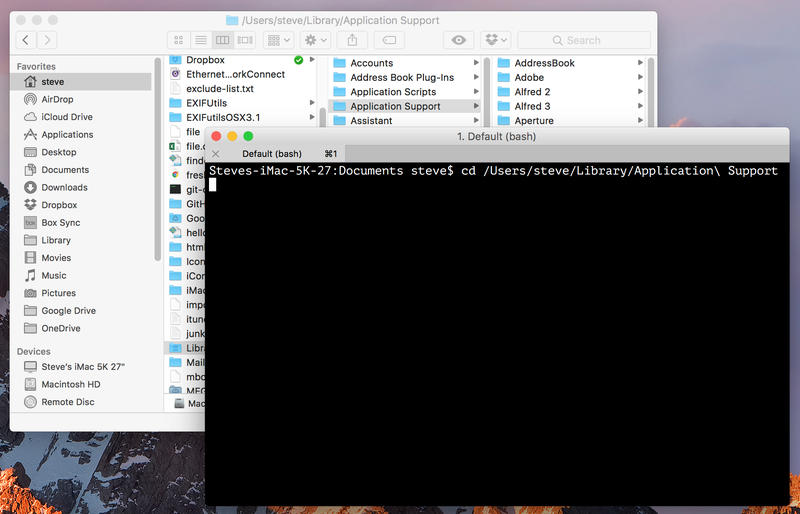 I’m going to change the current directory to /Users/steve/Library/Application Support using the cd command. Fyi: This (“/”) is a forward slash. This (“\”) is a backslash. It goes from bottom to top. I am not able to access this folder using Terminal. Although this folder very much exists. It says no such file or directory. Now there another folder called “Story” without the space in between and when I try to open this directory I can open it. Only when there is a particular folder with the ‘White space” in between i am not able to access it. Select the Story Telling folder in the Finder. Ctrl-click and select Services > New Terminal at Folder from the resulting menu. This should open a Terminal window at the Story Telling folder location.